The holidays mean something different to everyone. One thing I think we can all agree on is that we like to get together with family and friends to celebrate the season. We are social beings, and we like to spend time together. One way we enjoy spending time together around the holidays is by joining each other for a meal. 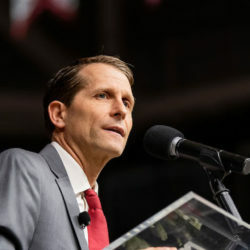 Restaurants have almost become somewhat of a pastime in America, and Harrison, Arkansas is home to a family-owned Italian restaurant called DeVito’s. DeVito’s is located just north of Harrison in Bear Creek Springs. It is just far enough off the beaten path that you know it has to be good. 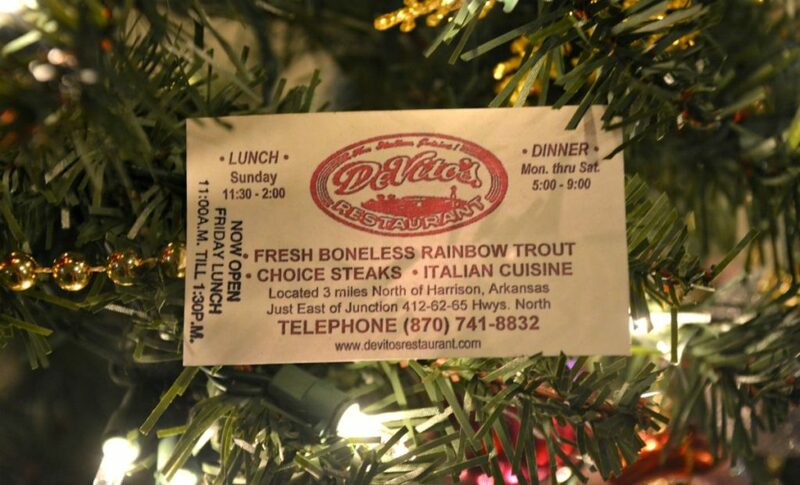 DeVito’s is home to the DeVito family who started this restaurant in 1986. After a fire in the year 2000, they were able to rebuild and come back better than ever. The daytime view of DeVito’s is beautiful, but at night it transforms into a dreamy location for holiday parties of all kinds. 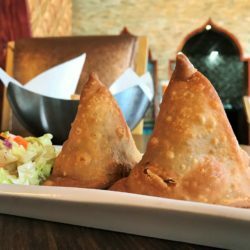 From work parties with the entire office, to parties with the closest of friends, to large family get-togethers, DeVito’s offers an atmosphere that caters to everyone. 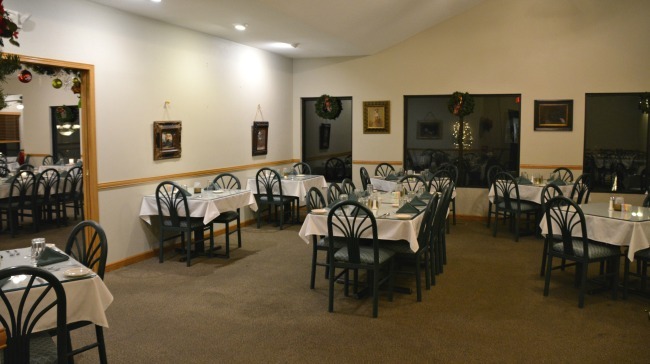 The party room is just off the main dining room and provides plenty of room for large parties. There is handicapped parking just out the door of the party room, which makes it accessible for everyone in your party. 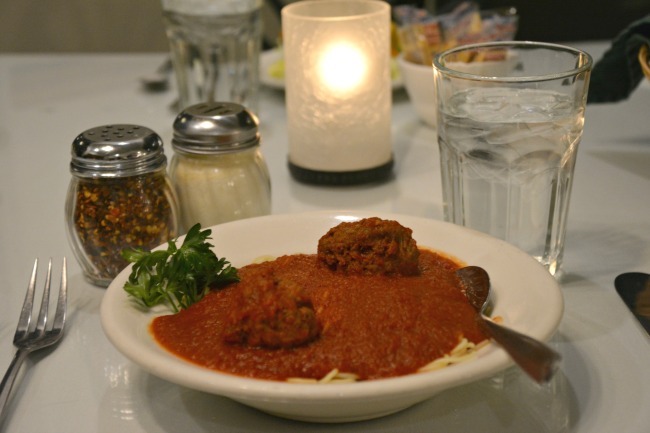 DeVito’s really has thought of everything to make this family-owned restaurant feel like home. 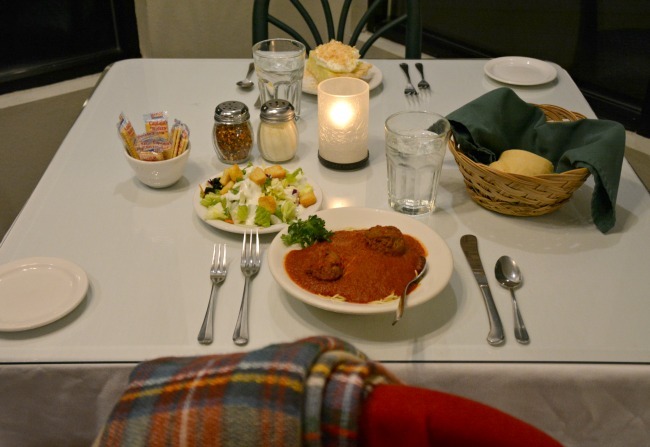 White table cloths and hunter green cloth napkins really add to the ambiance that is DeVito’s. The candles on each table are a nice touch and really light up the room in the early winter evenings. The menu is extensive with some great Italian options. I highly recommend the spaghetti with homemade sauce and meatballs. 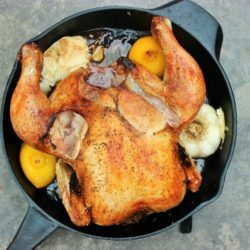 These made-from-scratch dishes are hard to say “no” to. Some other local favorites include Chicken Parmesan and the rib-eye steak on Fridays and Saturdays. 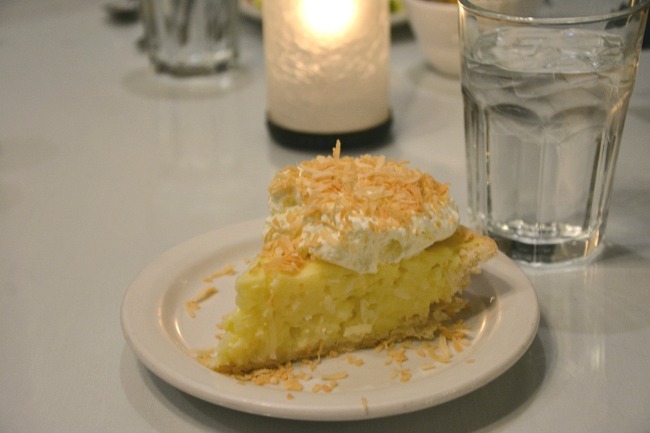 If your stomach can hold it, you have to try the coconut cream pie. It is impressive and pleasing to anyone who loves a healthy dose of coconut. 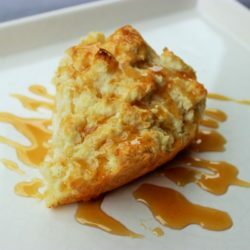 And be sure to ask about the cheesecake options, because they are to die for! As if the Italian food is not good enough, DeVito’s is home to a trout farm. The on-site trout farm is home to rainbow trout that are served in the restaurant. 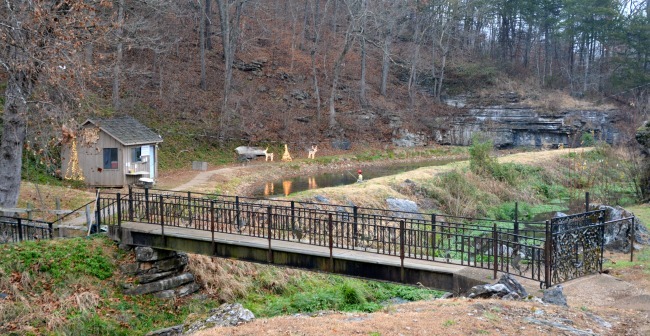 Spring is a great time to walk along the bridge and check out the trout in the stream. 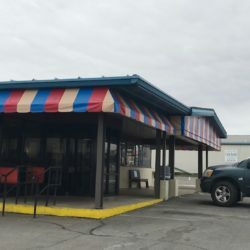 If you have ever traveled up highway 65 through Harrison headed north to Branson, you will most assuredly have passed the turn-off to DeVito’s. It’s only a hop, skip, and a jump past the turn-off, so I highly recommend stopping off the next time you go through the area. 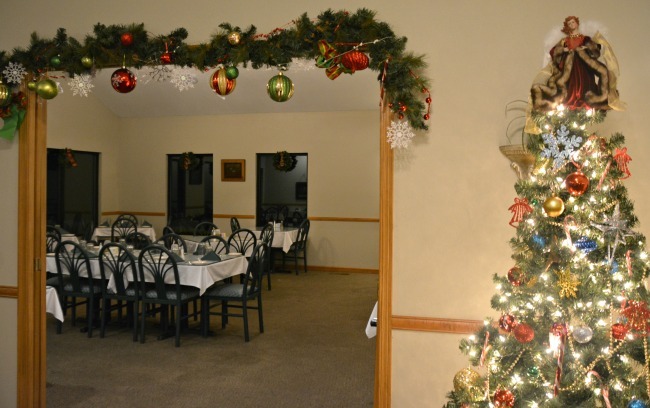 DeVito’s hours are Monday through Saturday 5 p.m.-9 p.m. and open for lunch on Fridays from 11 a.m.-1:30 p.m., as well as Sundays from 11 a.m.-2 p.m. DeVito’s would be such a great location for a holiday party. 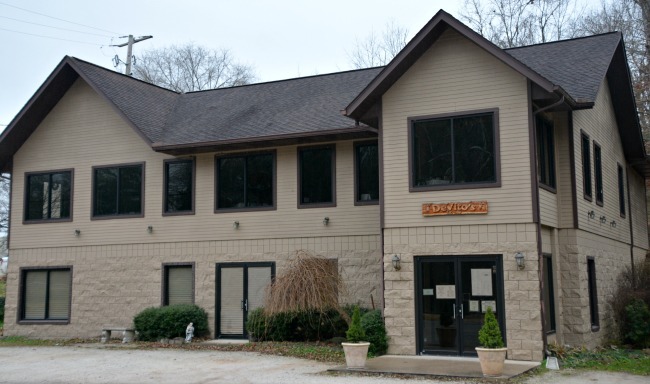 Just call for a reservation at 870-741-8832. The DeVito brothers are very active on the restaurant’s Facebook page, so be sure to follow them. They will be happy to talk to you! Rebekah Hearn is a northwest Arkansas resident. 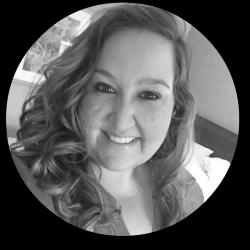 She writes & maintains her lifestyle blog, Rebekah Elizabeth. She can be found shopping on Saturdays and watching football on Sundays. Traveling is her favorite and she has visited 4 continents so far.